the Apollo 14 mission in Feb 1971. This US Flag measures 6x4 inches and was flown to Lunar Orbit aboard the Apollo 14 Command Module, Kittyhawk. 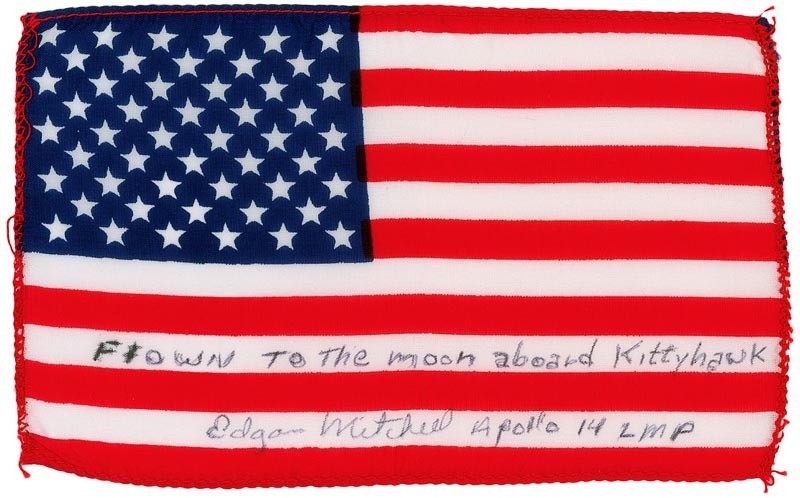 The flag comes from the personal collection of Lunar Module Pilot, Edgar Mitchell. "Flown To The Moon Aboard Kittyhawk Edgar Mitchell Apollo 14 LMP"